If you are not engaging on LinkedIn it can equal missed opportunities for you to build your awareness, authority, and simply talk with others who are engaging in conversation. If you want to be successful in using LinkedIn as a tool to meet new people, share your expertise and build trust then you simply must get engaged. That means stop lurking and start and join conversations. Think of it this way, if you were at a chamber of commerce networking event or an industry conference you wouldn’t be standing in the corner with nothing to contribute to a conversation! Why are you using LinkedIn in the first place? I can assure you successful professionals don’t sit on the sidelines. To use a sports metaphor, they look for opportunities to get into the game! A strategic way of finding your way in is to search the newsfeed (or click the HOME tab) and scroll through the posts searching for people you want to stay top of mind with such as clients, prospects, and influencers. Next, write an intelligent comment to their posts. If they are sharing an article, read the article and comment on something very specific so they know you took the time to read the article. Perhaps ask a follow-up question designed to create a dialogue. Be sure when you do this you @tag the person by name so they are immediately notified. See where the conversation goes, if it is interesting enough you may be able to suggest an offline conversation. Have you noticed those people in your network that never leave a comment instead they click the LIKE or thumbs up? Have you ever wondered what happens when you are scrolling along clicking the LIKE? Ok, admit it to yourself – you are sitting at your desk talking to yourself and saying “Gosh I like that article” and then your finger clicks the button. You immediately move on to the next post. You are pretty darn happy with yourself because you have given a half a dozen connections and clients the ‘ol thumbs up! I’m sorry to say with all the noise online, not many people care that you liked something. But they will acknowledge you for the time you took to write a comment. This is true on all social media sites. Thanks, @JohnDoe Which part of the article did you like or find the most useful? @misslurker I see you took the time to LIKE my post, tell me what you found most interesting? See how you can change a LIKE into a dialogue? In my experience, a large majority of the time the people I tag and ask questions, will actually respond so I make sure to acknowledge and engage back accordingly. If you have taken the time to build a profile and invite and accept invitations you will want to build real relationships, otherwise what is the point? When you start to engage people in real conversation I find they will reciprocate. I come from the perspective that perhaps the LIKERS and LURKERS simply don’t know how to network very effectively. But if they are my clients or target prospects it is worth my time and effort to try and build a more meaningful relationship. Engagement coupled with sharing good content builds trust. My goal is to be a trusted authority, that means when my connections have a question or challenge about LinkedIn I want them to go to be first as the trusted resource. I have earned that because I have taken the time to connect, engage and show up and care. Savvy networkers and connectors know that a connection can be the currency of their business. By inviting the right people based on business goals and then engaging them is laying the groundwork for success. First impressions matter, your communication, content, and style are critical to that success. Asking the right questions and looking for ways into a conversation where you can add value is a strategy to incorporate into your daily activity. Think of your referral partners as connections that equal currency. Are you engaging with your referral partners? Does your LinkedIn strategy include sharing their content and comment on their posts? Do they know you value them? Be intentional with those people that push business your way – it can mean less hunting. •	Scan your home page 2 x daily, morning and early afternoon before 5 pm searching for clients, prospects or influencers you have in your engagement strategy. •	Choose 2-3 posts from your scan that you can read and leave a comment or question. •	Reply daily to anyone who has responded back to one of your comments keeping the acknowledgment and flow of the conversation going. I guarantee I can do this in less than 30 minutes per day, so let go of time as an excuse, This is the kind of strategic effort that gets noticed. 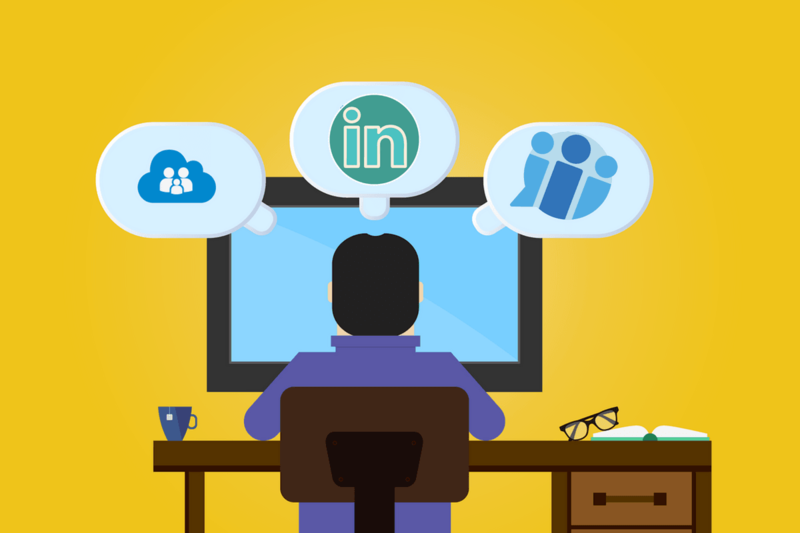 Remember, not engaging on LinkedIn can equal missed opportunities to build your network. So are you a lurker, a liker or an engager? Leave me a comment below. I’m an engager, JoAnne. I keep a timer ready when I’m logged onto any social media platform because it’s so easy to get into Busy Time mode. I follow many of your tips with 2 sessions on LinkedIn – 10 minutes in the morning and then a roundup 10 minutes based on the notifications I’ve received in the evening.